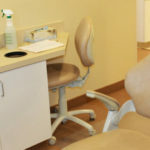 We all want to preserve our own teeth if we can, and Dr. Conlon and Dr. Vincelj, experienced Dentists in Grand Rapids, will always work with you at every visit to give you a dental treatment plan to preserve your teeth. Sometimes, however, the best decision for your optimal dental health is to extract diseased or decaying teeth, and replace them with full or partial dentures. Your Dental Associates Of West Michigan have the experience and technology to fill those gaps and restore that fabulous smile, whether you need partial or full dentures. Full Denture are used to replace the extraction of all your teeth. 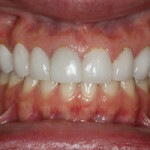 This can be done after the gum tissue has healed – usually within several weeks time. Your dentist will assess when your tissue is ready to have this placed, in order to have the best fit and comfort with the denture. 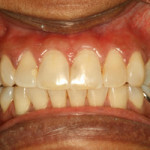 Immediate Denture can be placed the same day the teeth are extracted. This is an appealing choice to many, as you do not have to be without teeth for a period of time. Experienced dentist at Dental Associates Of West Michigan will be able to determine if you are a good candidate for this denture. These dentures replace one or more missing teeth, and requires other teeth for attachment and proper placement. A partial is removable, which can be a convenience for cleaning and comfort. 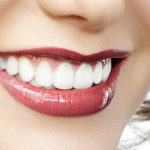 A partial will also prevent other teeth from shifting, which helps preserve your remaining teeth. You will boost your self-esteem with a full set of teeth, and even be able to speak more clearly and eat with more comfort. Please fill out the form to request a consultation today.